The fact that canines have a better sense of smell than humans is not new information, but the why is very interesting. When dogs breathe in through their nose, an internal flap separates the incoming air. Part of the air goes in for respiration, while a large part goes to the olfactory (smelling) sensors. They have individual sections of the nose for each function. Humans just have one section for all functions of the nose. A human’s brain is dominated by a large visual cortex whilst a dog’s brain is dominated by the olfactory cortex. In simple terms, a dog can smell 10,000 times more acutely than a human can. For example, a human could smell if there was salt in a cup of water where a dog can smell a teaspoon of salt in a million gallons of water (that’s about 12 million cups). This ability is why dogs are considered highly effective explosive detectors. 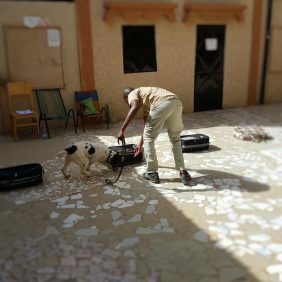 With roughly $19 billion spent on research and development in the mine action industry, thus far no machine or technology has proven to be more successful in detecting explosives than a dog. 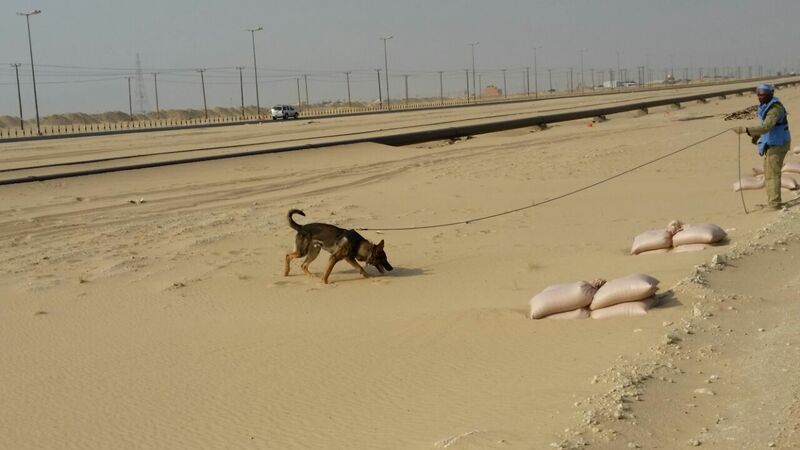 MDDs are a crucial component to mine action programs because of their incredible ability to sniff out the odours of explosives in landmines and unexploded ordnance (UXO) even when they are buried in the ground. 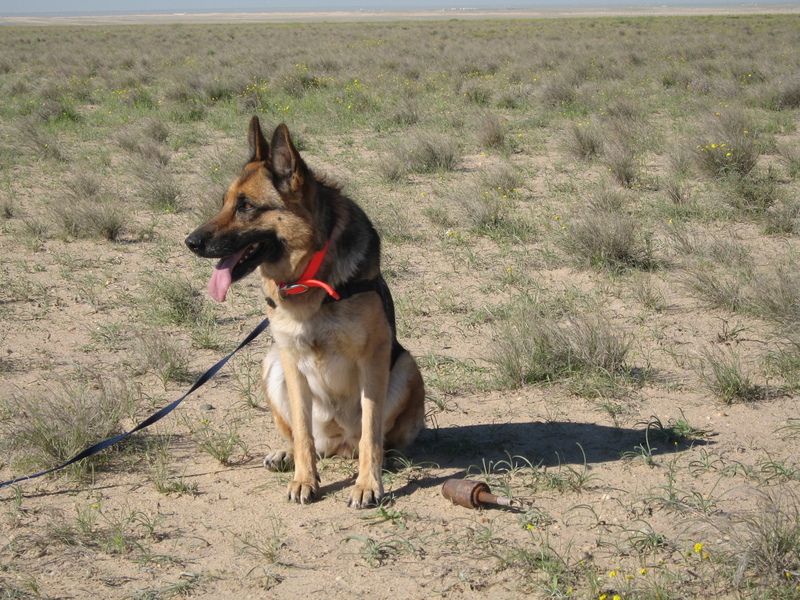 Unlike metal detectors, a dog is able to locate both metal and plastic landmines. 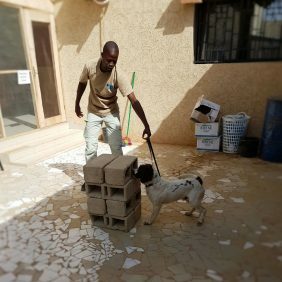 An MDD works in a team with a human handler; the team can search up to thirty times faster than a manual deminer without compromising accuracy. 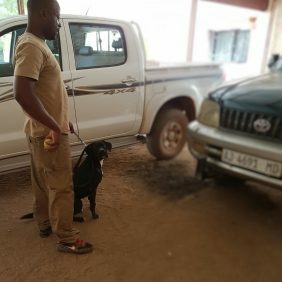 When properly integrated with other technologies (manual demining and machines) the mine detection dog team is an incredibly valuable tool for explosive detection. 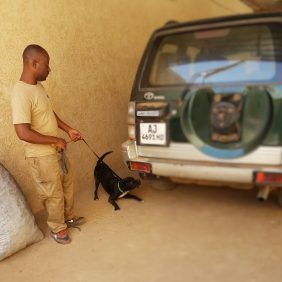 TDI has used both Mine Detection dogs and Explosive Detection dogs extensively over the last ten years, previously in Kuwait and Iraq, and currently dogs are deployed in both Mali and South Sudan.